In Winnipeg, we’re a talented and hard-working bunch. Our workers – both born and raised Winnipeggers and those who have come from elsewhere, have a proven track record of their commitment to this city, its businesses, and its well-being. Our reputation for our family-like business community and top-notch talent pool draws people from around the world. When it comes to our business community, our workers, and our ability to attract talent - we’ve got a story to tell. When Josh Simair (originally from Saskatchewan) and his partners sold Skip The Dishes to British food delivery company Just Eat in December of 2016 for an estimated $110 million, the international tech industry took notice. Skip’s mobile and web-first delivery platform was impressive, as was its dynamic CEO and co-founder. But another word kept popping up in conversations about the company – Winnipeg - and its ability to breed success. Skip The Dishes is just one of a handful of tech companies making headlines out of our prairie city recently. Another young start-up called Geofilter Studio, which just happens to be the largest provider of Snapchat geofilters in the world, has seen its business skyrocket since its inception in April 2016. And "skyrocket" may in fact be putting it lightly. Between April 2016 and September 2017, their business has grown 25,000 percent. Yes, you read that right. Bold Commerce, an e-commerce and digital media company has also been growing at a staggering rate of about eight to 10 new employees a month and now has more than 160 employees. The company started here just over six years ago and is the number one partner of Ottawa-based e-commerce platform Shopify. So how has our modest-sized prairie city with less than one million residents spawned tech success story after success story in just a few short years? The answer is simple according to Simair, who has become one of Winnipeg’s most vocal business ambassadors. That’s the mantra stated time and time again by leaders in the Winnipeg business community, whether from the start-up sphere or titans of the industry. New Flyer Industries, founded in 1930 and now North America’s largest transit bus and motor coach manufacturer, has 2,500 employees in Winnipeg and exports a large percentage of its units to the United States. Longtime CEO Paul Soubry (2016 Financial Post Canadian CEO of the year / born and raised Winnipegger) points to Winnipeg’s collaborative business community as one of the main reasons New Flyer has stayed and succeeded in the city. “There’s this magnificent community of business leaders that work together not only on their businesses and their industries but work together to make us a successful province and a successful city,” said Soubry in a Q & A with EDW this spring. More than 44,000 full-time students are enrolled at the city’s post-secondary institutions, which offer programs that meet the needs of multiple sectors, from graphic designers at GeoFilter Studio to engineers at New Flyer. In addition to providing top-tier training through traditional program streams, the University of Manitoba also has its Smartpark, a world-class university-industry research partnership and innovation hub totalling 415,000 square feet, designed to build a “community of innovators.” The park has been so successful that U of M is adding two new buildings (an additional 121,000 square feet) to its campus by 2018 – an engineering building with expanded labs and student support services and an “innovation hub” building, designed to be the campus gathering place and collaboration space.The recently announced Innovation Centre at Red River College in Winnipeg’s historic Exchange District will also attract an additional 1,200 students to work on commercialization projects for start-ups and small and medium sized enterprises (SMEs) and maybe even build the next big platform for a giant online retailer. Are you noticing a trend here? 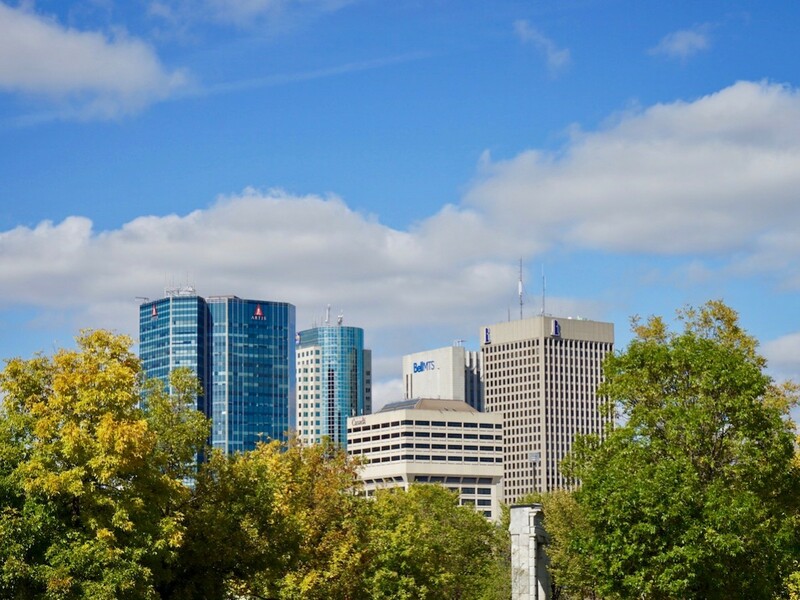 Winnipeg is quickly becoming the technology hub of the prairies. Can we help you attract top talent from afar? YES! we can! In addition to a wealth of talented university and college graduates, businesses here have a number of government-supported resources to attract top-notch talent from outside Canada. The world-renowned Made-in-Manitoba Provincial Nominee Program (MPNP) with its MPNP for Skilled Workers stream is designed to be locally driven and based on the needs of Manitoba employers. Canada, Immigration, Refugees and Citizenship Canada (IRCC) also offers selected employers who are making significant investments and creating jobs in Canada a dedicated client service representative, through their Dedicated Service Channel (DSC), who can guide employers through the immigration process and provide tools to facilitate their immigration needs. Unique talent needs? Employment and Social Development Canada (ESDC) has its Global Talent Stream, a fast-tracked immigration program for employers. Bottom line: We have the programs you need for your business to attract talent from around the world or bring in employees, say, from your headquarters in Seattle, for example. We understand if this is all little complicated. That’s why Economic Development Winnipeg has a team of sales superheroes in YES! Winnipeg. Just give them a call and they can walk you through every step - for free. If you’re a recent college grad with a big idea, a business looking for out-of-country expertise or maybe an online retail giant looking for some space to grow, you’ve come to the right place - Winnipeg, Manitoba.